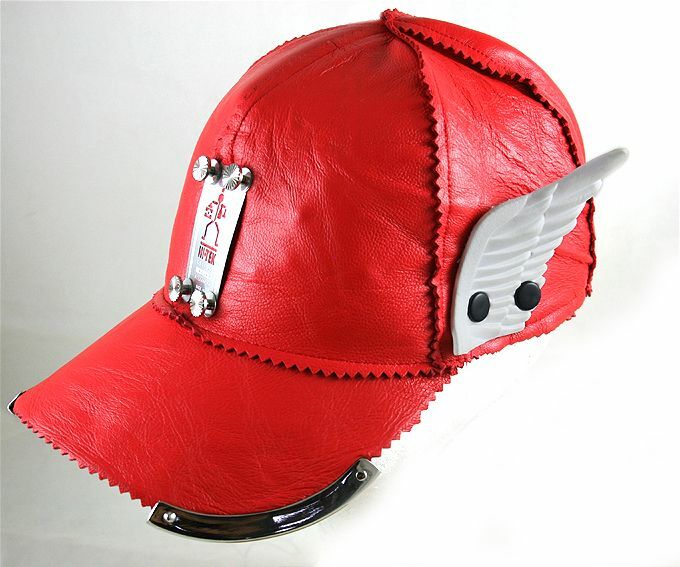 Unisex red leather baseball cap with metal components. Material cotton base, covered with high quality genuine Italian leather. Customized with stainless steel metal logo and metal components. Has white rubber wing. One size.